Yesterday, I went to our local farmer's market. It's so inspiring to see all the fresh fruits and vegetables and the gorgeous plants and flowers. It makes me wish I enjoyed gardening and could really throw myself into growing things! But alas, despite parents who love all kinds of gardening, I just can't get into it. Here's something I did think I could grow though. I like house plants and they require little in the way of actual work, so I thought maybe these terrariums would be fun to put together, too. I had several extra mason jars and two little girls at home that love a craft, so I made an impulsive decision and bought some supplies right then and there. Of course, the twins were all in and we got our indoor gardening on as soon I as got back home. 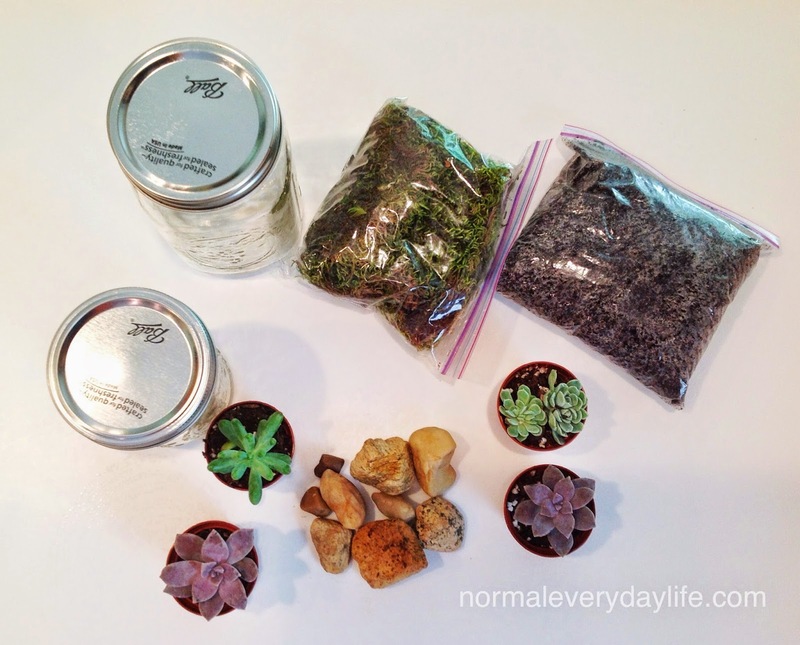 Here were the supplies: glass containers, rocks for drainage on the bottom of your container, potting soil, moss, and some succulents. These are very easy to put together. 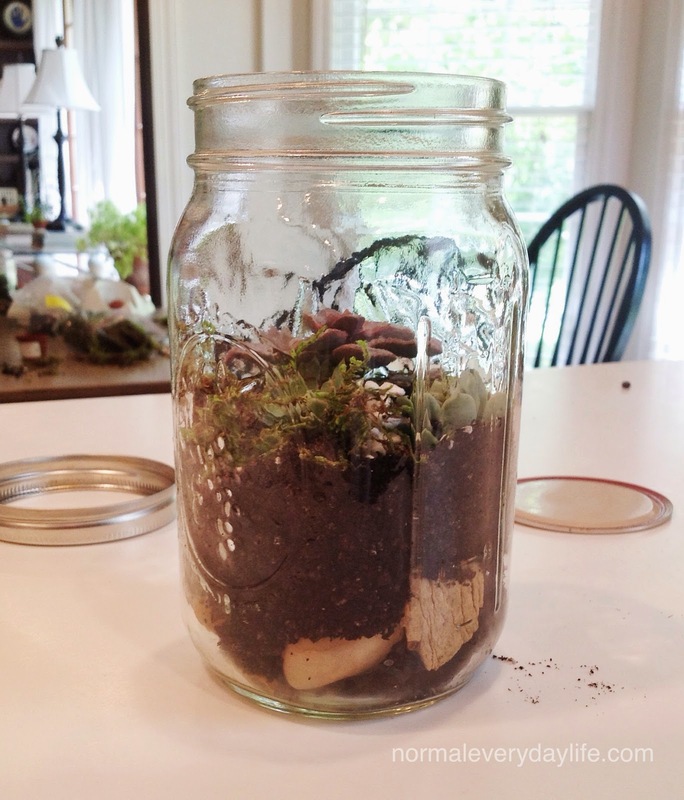 First, place a layer of rocks on the bottom of your container for drainage. Then put in a layer of soil. 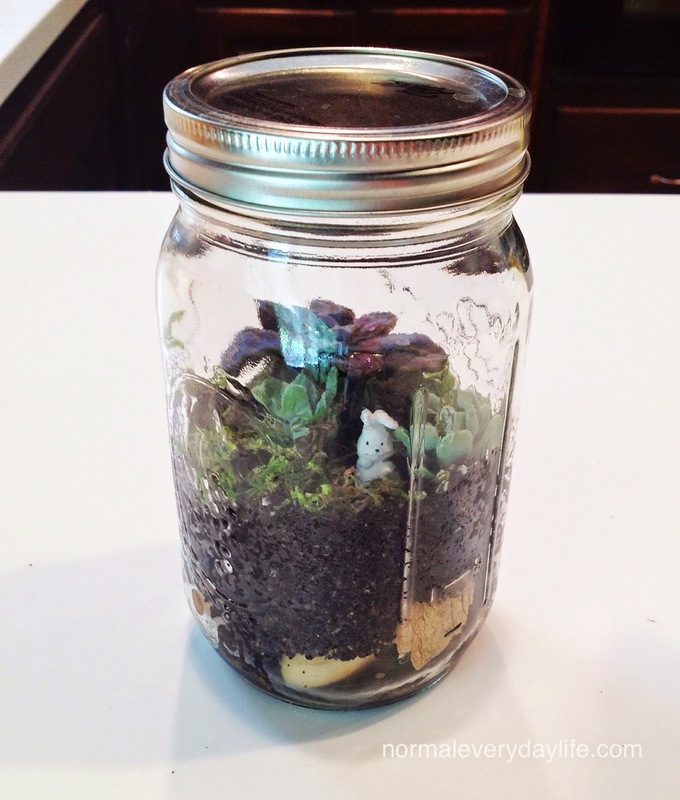 Make a little hole in the soil and place the succulent in it. Fill in with more soil and then some moss. You can also put little animals or figurines in the mix for fun! My daughter took a liking to this little rabbit. The lady at the farmer's market said these plants require very little water, so I didn't add much. Terarriums can be either open or closed depending on the plants you're growing. Since succulents thrive in a dry, arid environment, I'm leaving mine open for now. 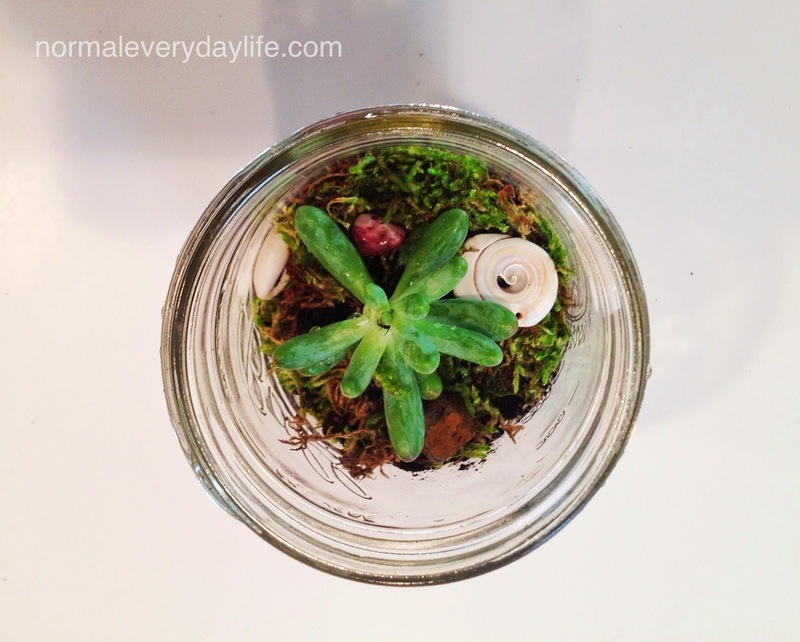 As far as caring for a terrarium, I think less is more. You don't want it to have too much light or too much water. I can already see this may be a bit of a challenge for my girls since they think watering plants is the fun part! Hopefully the little succulents will survive all their "attention"! 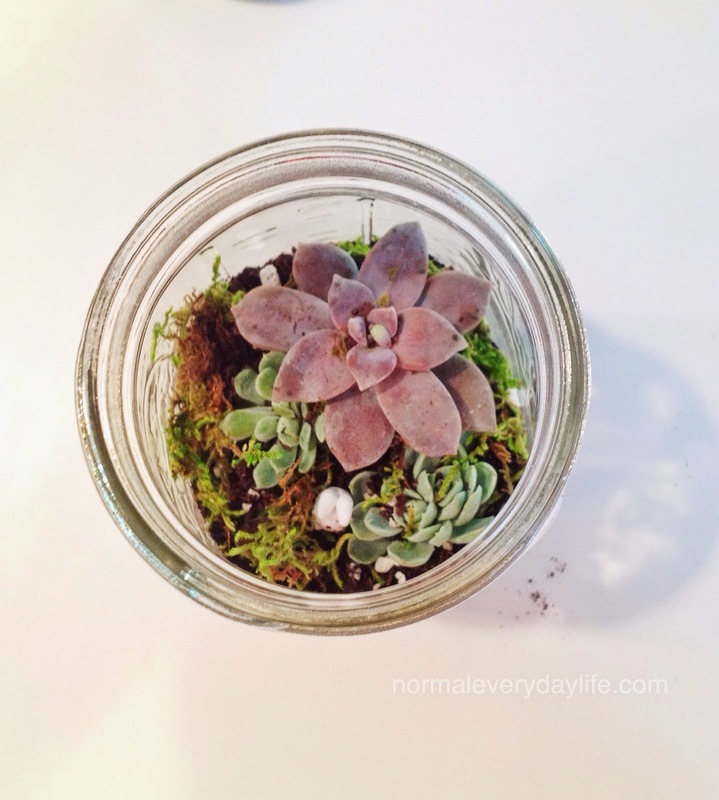 Depending on the plants you choose, these little terrariums can be perfect for offices, dorm rooms, and other dimly lit areas because they don't need a lot of full sun and are very low maintenance. 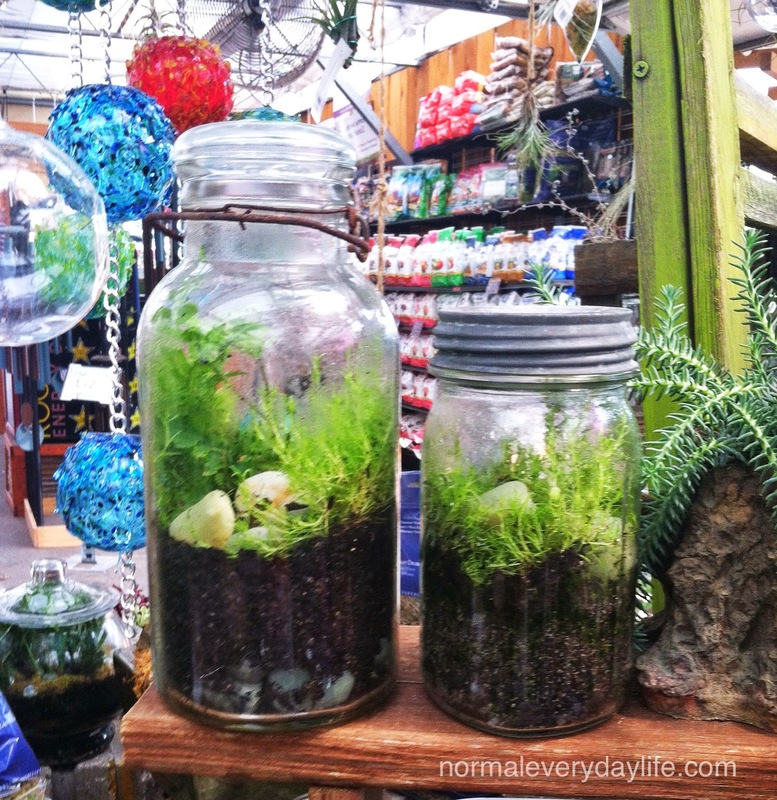 Certain types of enclosed terrariums can even be watered as little as once a month! All in all, this was a fun little project that allowed us to play in the dirt and create something pretty. I think I just might enjoy container gardening! So cute, and I think even I could do this :). Might give it a try with my niece - she's staying with me for a weekend soon. Have a great weekend! These look fun, and nice and easy :) I'm not especially green fingered either! Oh these are so cute! What a cheery little container garden! Love these! Great gift idea, too! 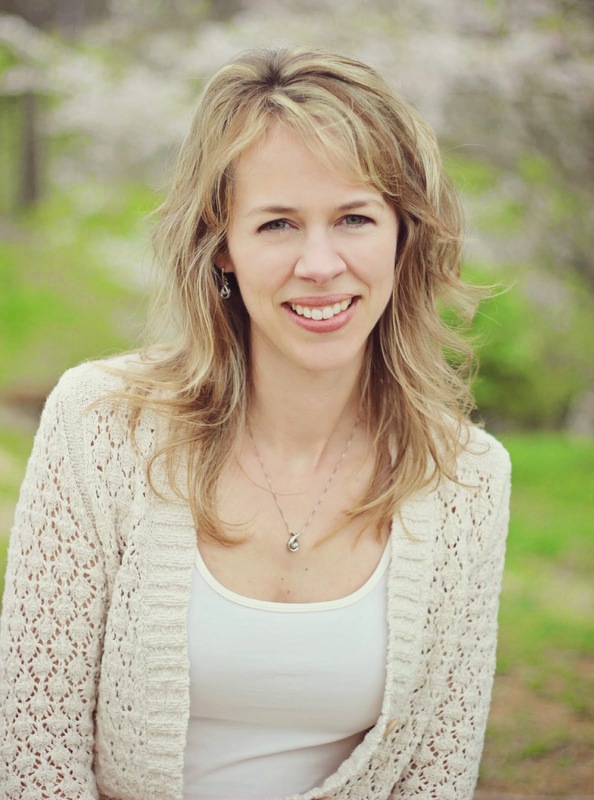 Thanks, Shauna! They would be great gifts and they're fun to put together! I can relate, Kim! These are supposed to be pretty hardy, so hopefully they'll last! They look cute and a great way to use a crafty afternoon. I'm always a fan of a bit of outdoor mud and play. Oh I am sooo doing this with my kids. They will love it, and it's the only kind of gardening I think I could handle. I even have a giant mason jar that I didn't know how I was going to use. Thanks for sharing! Glad you like them, Meredith! It will be a fun project for your kids! I love these, Marie! So cute! What a good idea, so simple yet effective, lovely. I think they'll last a long time if the conditions are right as far as light and water. I'll move them if the jar gets too small. Mine are still pretty new, so I hope I can keep them healthy for awhile! :) Good luck with your new vegetables! That's neat! Those jars are useful for so many things. Glad you'll be making a terrarium! That's great! Our school year was already over by the time I made one, but I'm keeping them in mind for teacher gifts next year! Pinned to my Wake Up Wednesday board. Thanks for sharing. 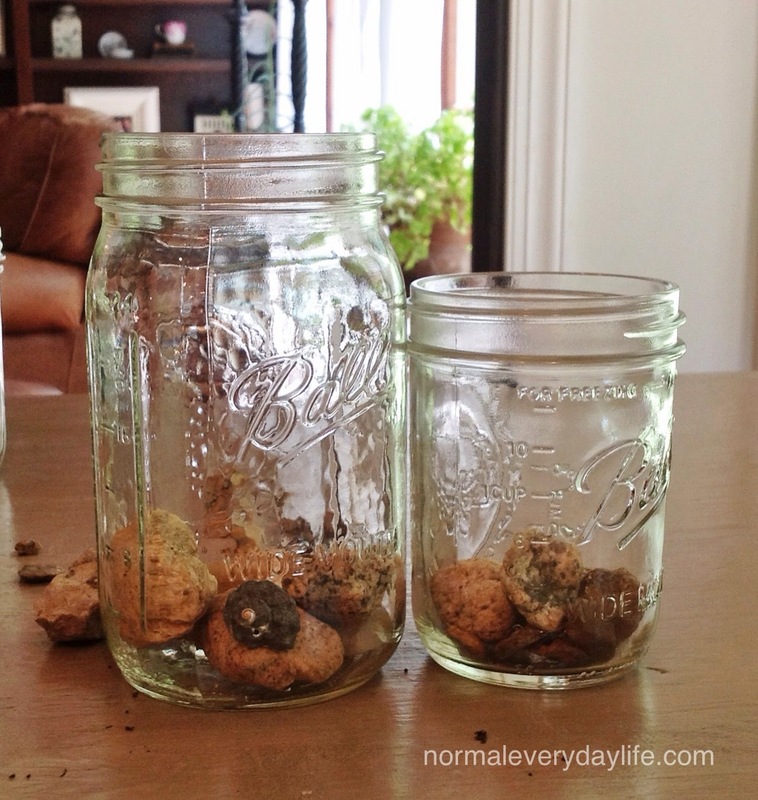 LOVE this idea for Mason Jars! I agree with you about having the ability to grow a garden. I want the purple one! Hello from the Thursday Favorite Things - sending you Like love! Thanks, Sami! So glad you can use this!